Polymer modified cementitious grout for joints up to 6mm. Water-repellent with DropEffect® technology making joints less prone to dirt pick-up and improving durability. 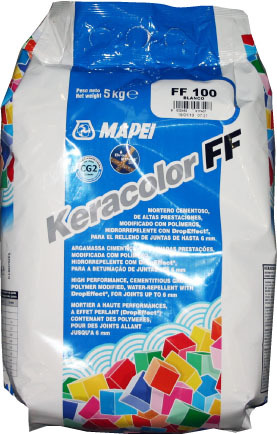 Suitable for interior and exterior wall and floor grouting of ceramic tiles, porcelain, terracotta, stone material, glass and marble mosaics. Ideal for kitchens, bathrooms, showers and swimming pools. COVERAGE: depends on the size of the joint.